Claudyne Wilders says, "In my Get to the Message Workshop, we experiment using Argentine Tango skills to become more connected and engaged with the audience." In this guest post, she explains more about how Argentine Tango skills can help you become a better presenter. Gears! These denote that things are moving, something is happening. Yes, gears mean action. 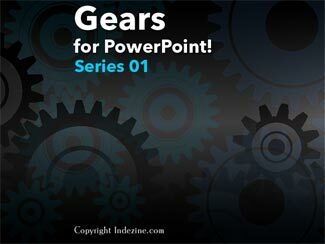 Have you ever wanted to use animated or non-animated gear graphics in your PowerPoint slides? We have just what you need. These ready-to-use awesome gears will save you tons of time. In fact, you need not spend an hour or two animating. Because we have included animated variants of all gears. Use the ones you want, either animated or non-animated, or even both. To use them, all you need to do is copy them and paste in your own slide. Here’s a picture that has six friends celebrating. And we used six circles to highlight faces of friends to create a rotated circle animation. To make this work, all six circles contain a slide background fill, so as to grab the content off the slide background. Simultaneously, the rest of the background fades out so that the area within the circles is highlighted. Download and use this presentation. Countless voices will tell you that it’s a sin to make your audiences suffer with slides that are populated with bullets, but ask for a solution and the voices will diminish to just one or two. And even then, you may not be able to use all the advice! So, here’s one option: a no-bullets alternative that uses callouts as an alternative to bulleted lists. Make sure you notice ways to get in your pictures, charts, and tables within this callout style. Also this question and answer (you can just call it a “conversation”) format will help you involve your audience much better, especially if you animate the callouts and their connectors sequentially one after the other. Even better, use the Push transition effect for your slides to get the most from this style. This was among the first books where I had to use my highlighter all the time to find amazing quotes. 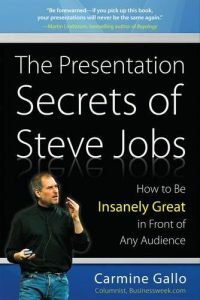 When the topic of your book revolves around Steve Jobs, it is imperative that you will end up with some amazing quotes! The Task Pane is a docked area within the PowerPoint 2016 for Mac interface that provides more options than dialog boxes. Also, unlike most dialog boxes which cover the Slide Area, you can view both the active slide(s) and the Task Pane at the same time. The Task Pane, therefore, provides a more streamlined experience. In fact, all the options within the Format dialog boxes from older versions of PowerPoint are now available within the new Format Task Panes in PowerPoint 2016 for Mac. Similar to Shape Styles for shapes on your slide, PowerPoint also provides Picture Styles for your inserted pictures. With a single click, Picture Styles can transform a simple looking picture to something more distinct. Note that unlike Shape Styles, Picture Styles are not Theme specific. They just transform your picture to make it look stylish by applying a border, or a 3-D effect, or by changing the frame shape, etc. 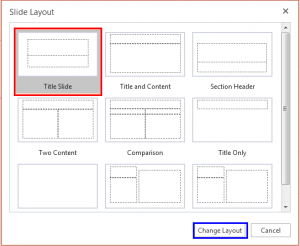 Follow these steps to apply Picture Style presets to selected pictures in PowerPoint Online. Beyond picture enhancement options such as Picture Styles, there are some very significant yet basic picture editing options that you should consider. These include learning how you can Resize, Rotate, and Flip pictures. All of these options help you to enhance the look of your inserted pictures. The Task Pane option is not as widely available in PowerPoint Online as you can find within desktop versions, but some features do have Task Panes. Since PowerPoint Online is an evolving web application, you may possibly see more Task Panes in the future. Each PowerPoint presentation contains several slides. Let’s compare each slide to a blank canvas or an empty sheet of paper! You can thereafter add content to the slides in much the same way as you use brushes to create strokes of paint, or a pen to write. For example, do you want some text? Then you must add a text box. Want a picture? Just insert a picture and place it anywhere on your slide! Wait, this is not really the proper way to work in PowerPoint! Unlike a new canvas or a blank sheet of paper, PowerPoint does not like to provide you so unstructured freedom, and this can be good in many ways. Primarily, PowerPoint structures each slide you create into one of its prescribed layouts. This newsletter provides more info on better PowerPoint usage and presentation design. You can also opt to get our RSS feed, where you can get updates through Feedburner.